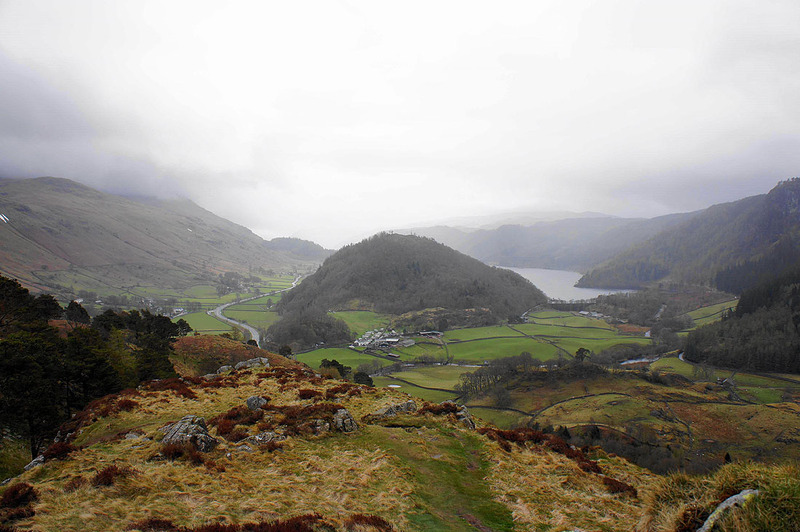 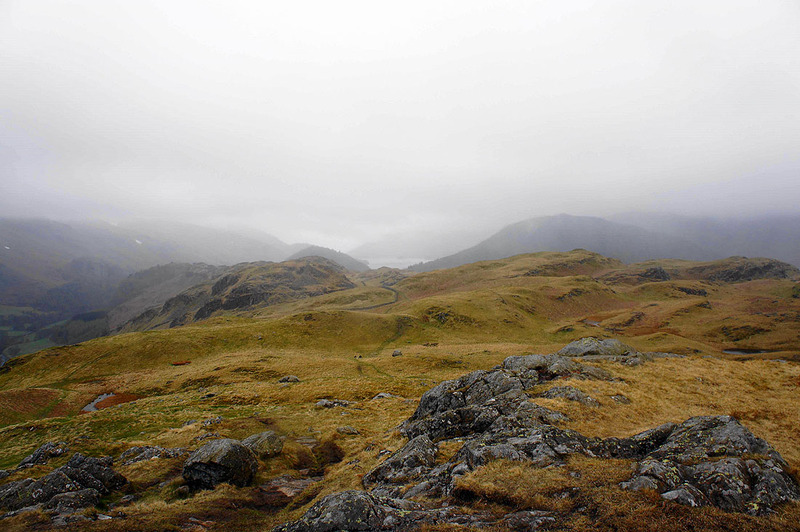 The worst weather of the Bank Holiday weekend today with rain falling during the traverse of the High Rigg ridge. 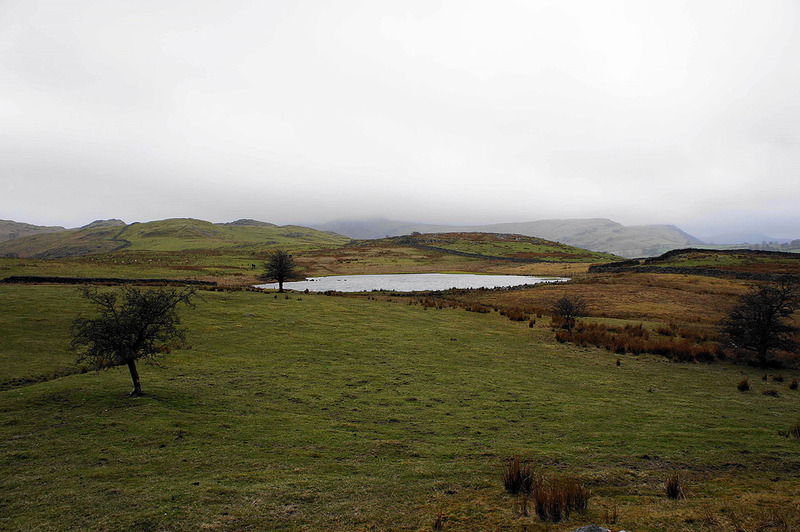 It did dry up for the second half of the walk however and the sun even put in an appearance before I'd finished. 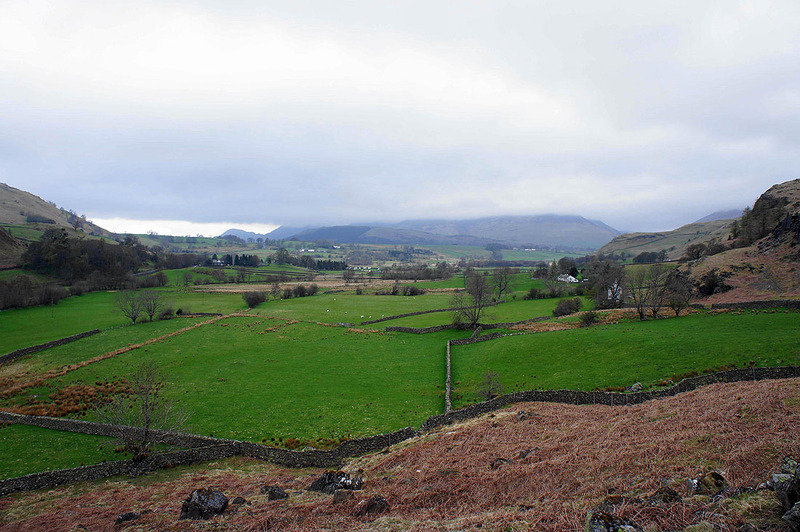 I parked up on the verge just to the east of Naddle Bridge to start todays walk. 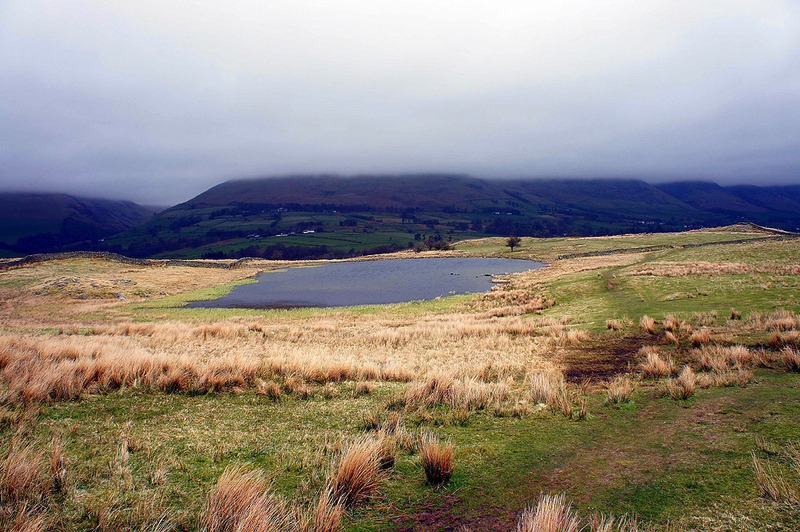 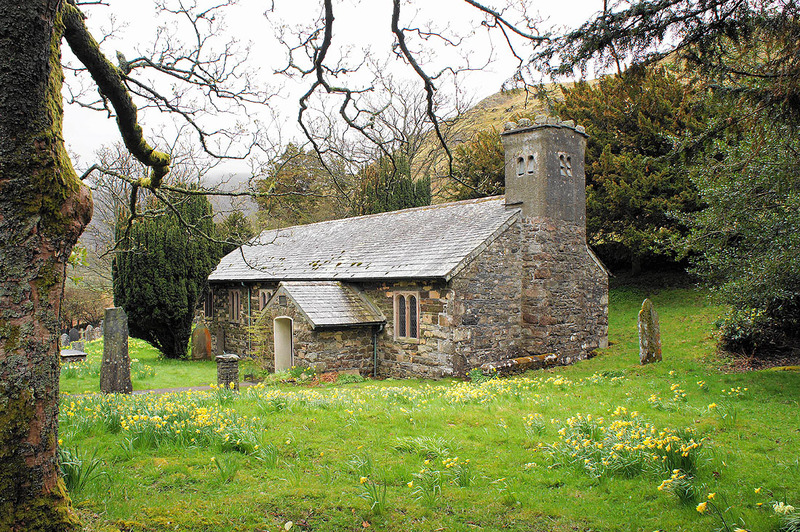 I brief road walk uphill brought me to the footpath that heads past Tewet Tarn and Low Rigg to reach St. John's in the Vale church. 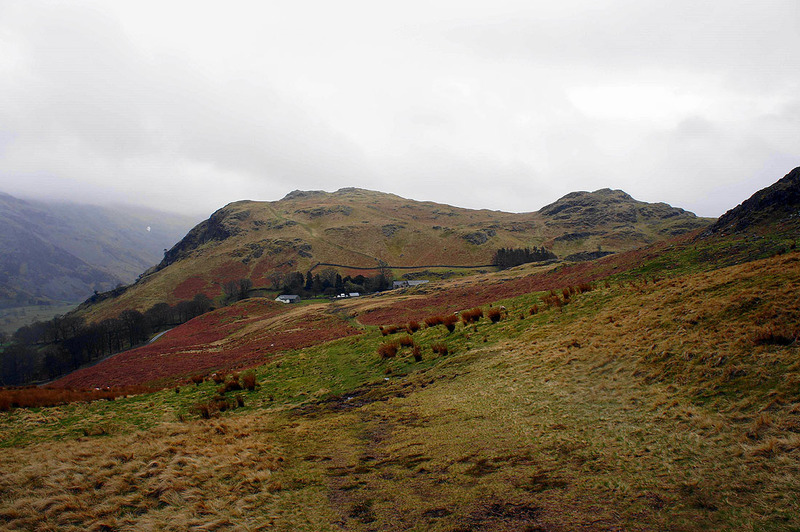 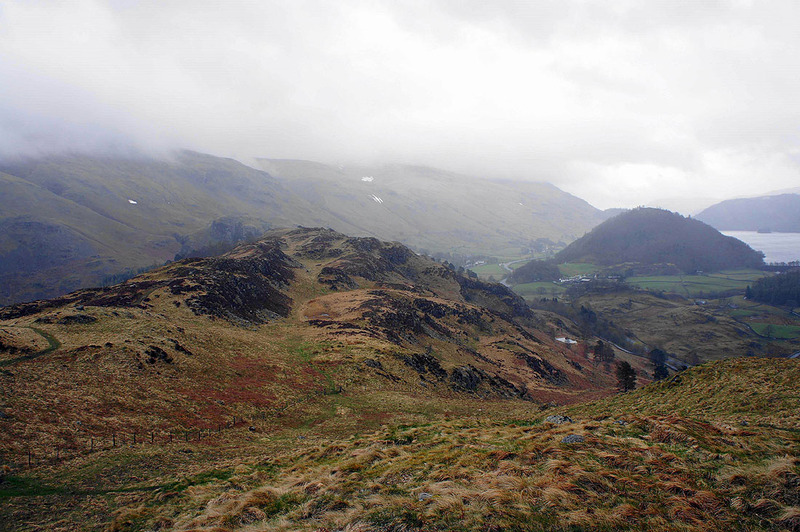 I then did the traverse of the High Rigg ridge all the way to its end at the A591. 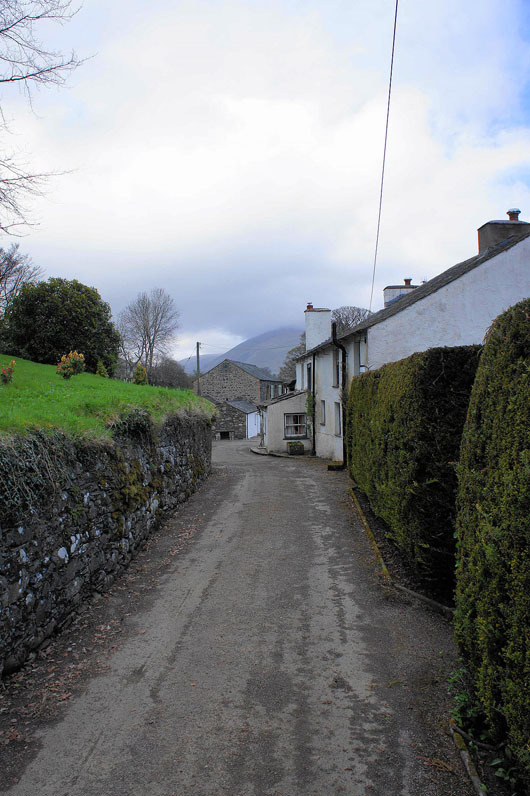 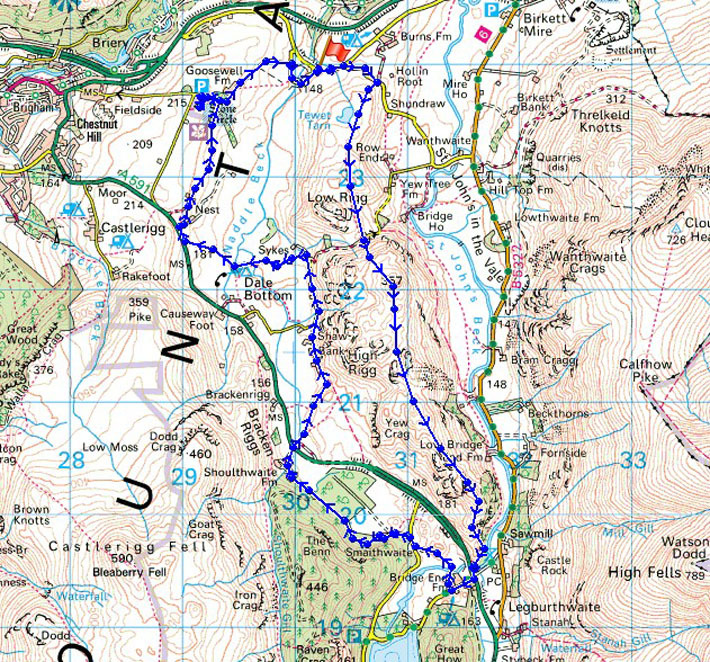 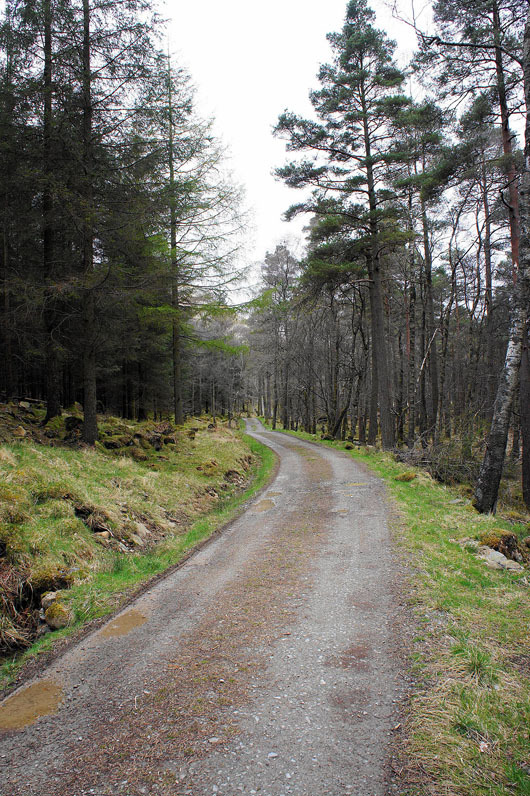 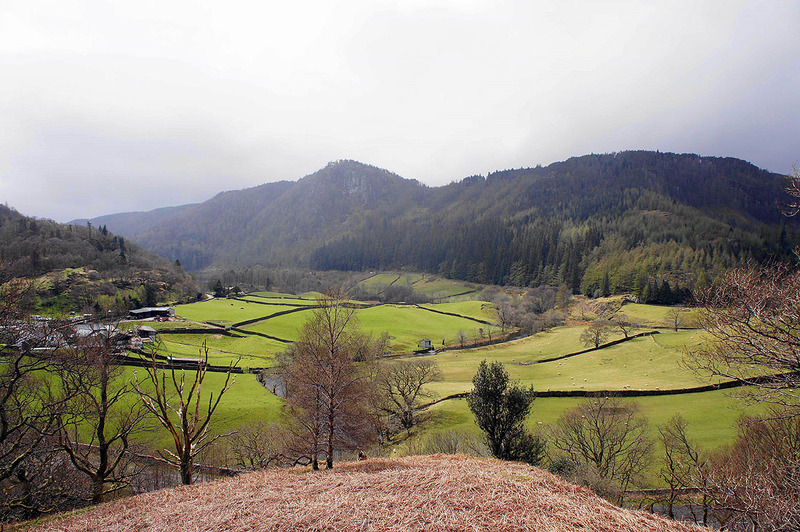 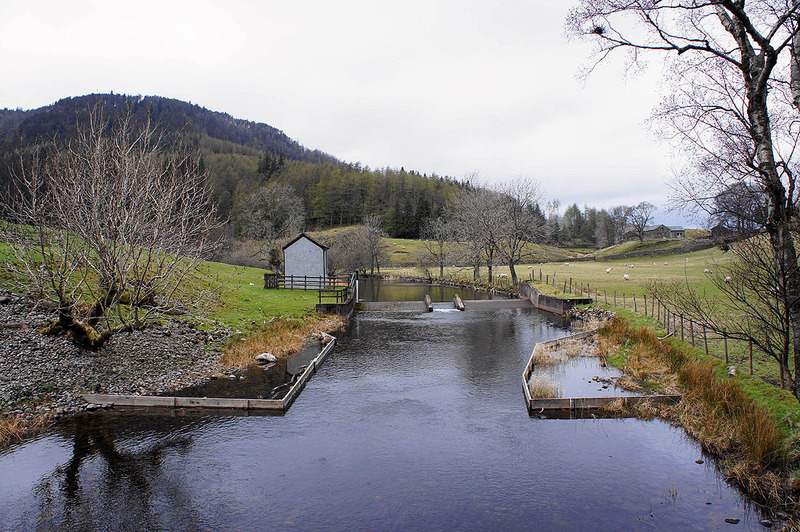 The main road was crossed to Bridge End Farm and the footpath through one of the Thirlmere plantations took me to Shoulthwaite Farm and back across the main road. 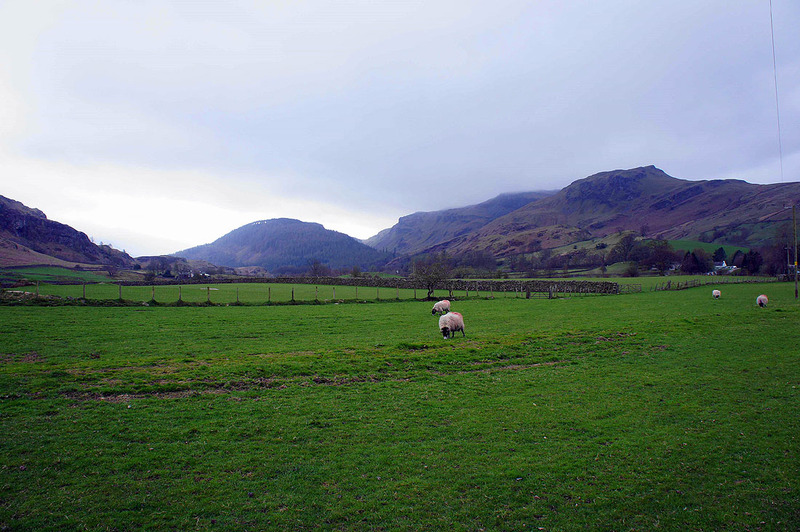 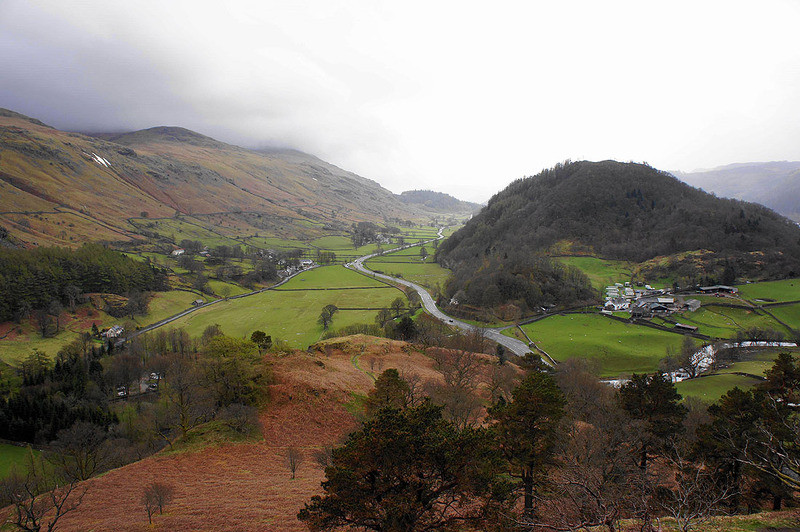 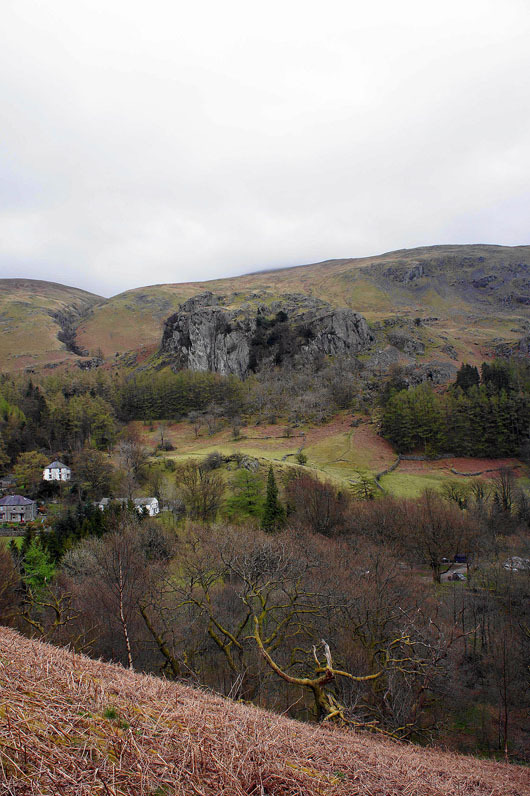 My route back took me down the valley of Naddle Beck with a detour on the way to see the Castlerigg Stone Circle. 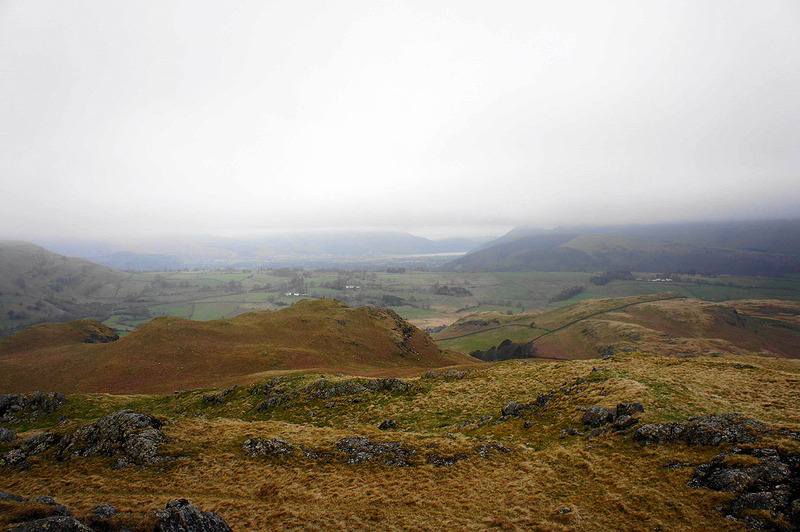 On the summit of High Rigg and there isn't much to see. 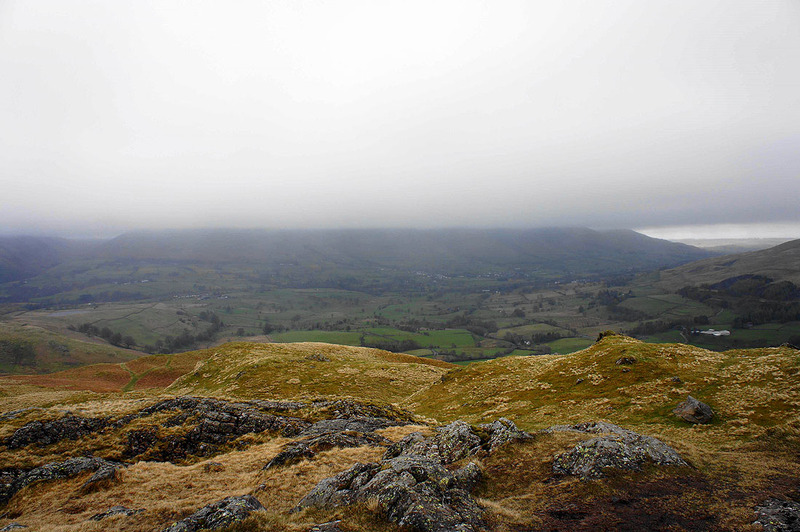 Blencathra is out there somewhere. 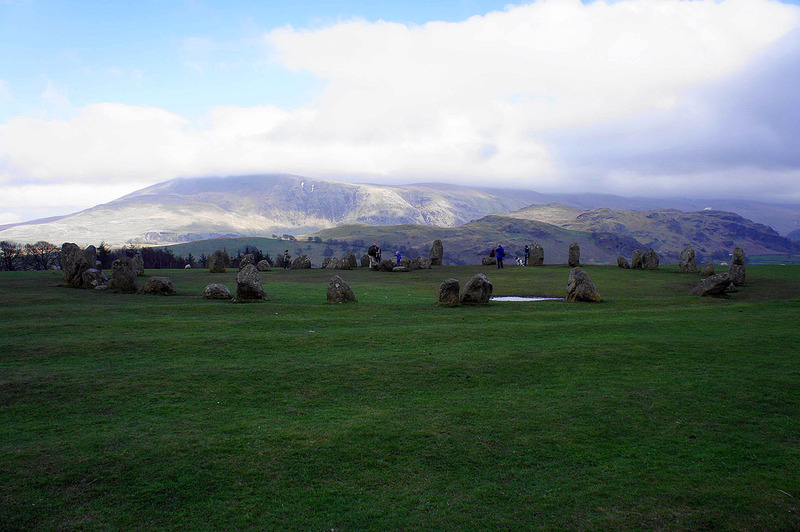 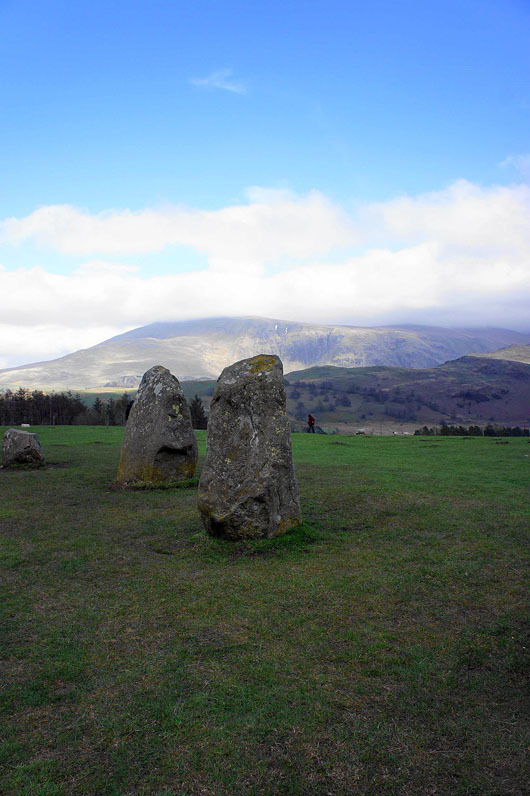 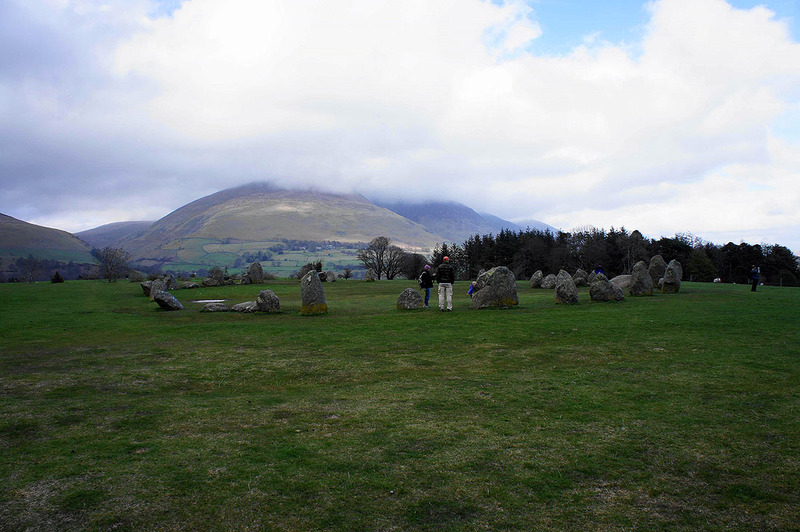 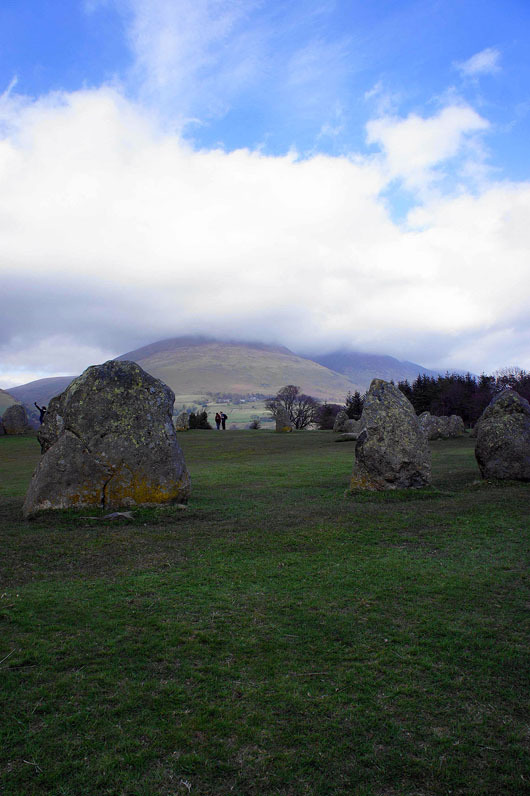 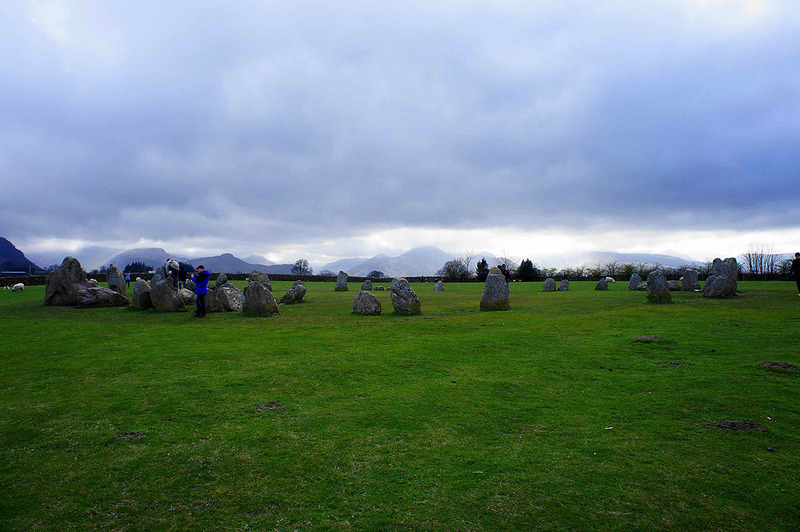 Castlerigg Stone Circle, the highlight of the day. 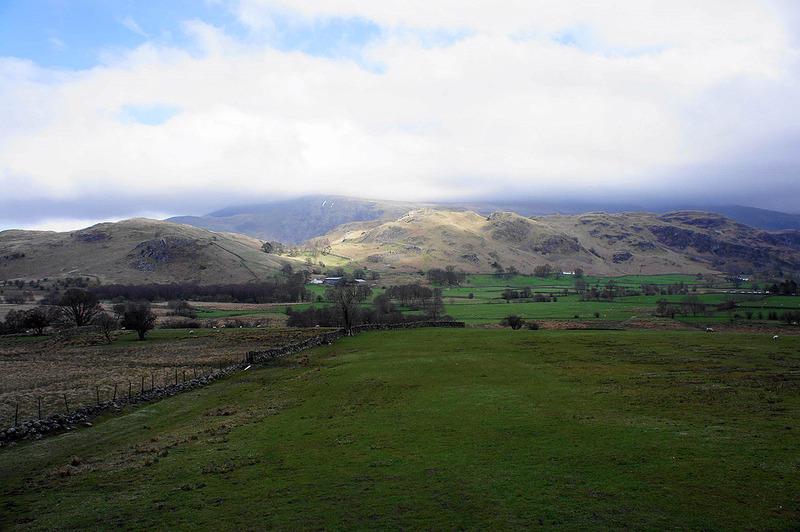 In the background are Clough Head and the Dodds in cloud with High Rigg in front.